M.E. Support is one of the leading websites on Myalgic Encephalomyelitis providing information, advice and support. M.E. is little-known and often misunderstood but it is an extensive and debilitating neurological disease. It is also referred to as Myalgic Encephalopathy, Chronic Fatigue Syndrome (CFS), Chronic Fatigue and Immune Dysfunction Syndrome (CFIDS) or Post Viral Fatigue Syndrome (PVFS). My name is Louise Sargent and I launched M.E. Support in 2001, having been living with Myalgic Encephalomyelitis for nine years, in a bid to raise awareness and help fellow sufferers. This is a UK-based website providing worldwide information to hundreds of thousands of visitors each year. I manage M.E. Support daily with the help of a small but invaluable team of Volunteers. I have also been able to expand offline, such as advising the media on M.E. and guiding medical professionals. M.E. Support operated at mesupport.bigstep.com for four years before moving here to MESupport.co.uk. The site is split into several sections but you might like to start with the article M.E. My Story. 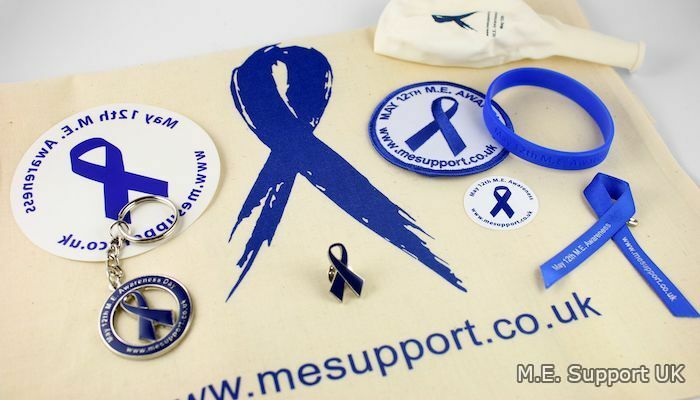 If you are looking for International May 12th Awareness Day products, such as M.E. Awareness Ribbons, please visit the M.E. Support Online Shop. Please do not hesitate to Contact Me anytime or you may like to join the M.E. Support Facebook Page. Expanding our online presence and launching offline services, e.g. a postal newsletter. Developing media and public relations to reach more patients and increase the public’s knowledge of M.E. Establishing physical and financial connections through volunteers, sponsors, donations and sales. I have enjoyed developing M.E. Support and it has been a pleasure to help and advise others. It has certainly been difficult at times, with so-called 'M.E. politics' and verbal abuse by non-believers, although I have never questioned my work here and feel proud of what I have achieved. I would like to take this opportunity to thank you, whether you are a new visitor or an old faithful, for your much appreciated and valued support. I also thank wholeheartedly each and every person who has helped me with M.E. Support over the years. Lastly, but by no means least, thank you to my family and friends for their love and encouragement. M.E. Support is dedicated in memory of those who have lost their lives to Myalgic Encephalomyelitis; "Our memory is a more perfect world than the universe: it gives back life to those who no longer exist."